My High Plains Life: Did I Finish in Time? Did I Finish in Time? NO! Camp Loopy Project One was not completed by June 30. FAILURE! I'm continuing on with camp though. "Has there been a popular pattern that passed you by? This challenge is to knit a pattern that has been popular with other knitters, that you haven’t knit before. The project needs to have at least 1000 projects listed (or 1000 queued up) on Ravelry, and it needs to use at least 500 yards, single stranded." Well, Wingspan has 7698 projects, and is in 7814 queues. I think that qualifies. I've had this pattern in my Favorites, but have been putting it off. I tend to not like knitting the patterns EVERYONE's done, such as Clapotis, or the Hitchhiker. But I really do love the look of the Wingspan, and well, if Camp Loopy is making me knit it . 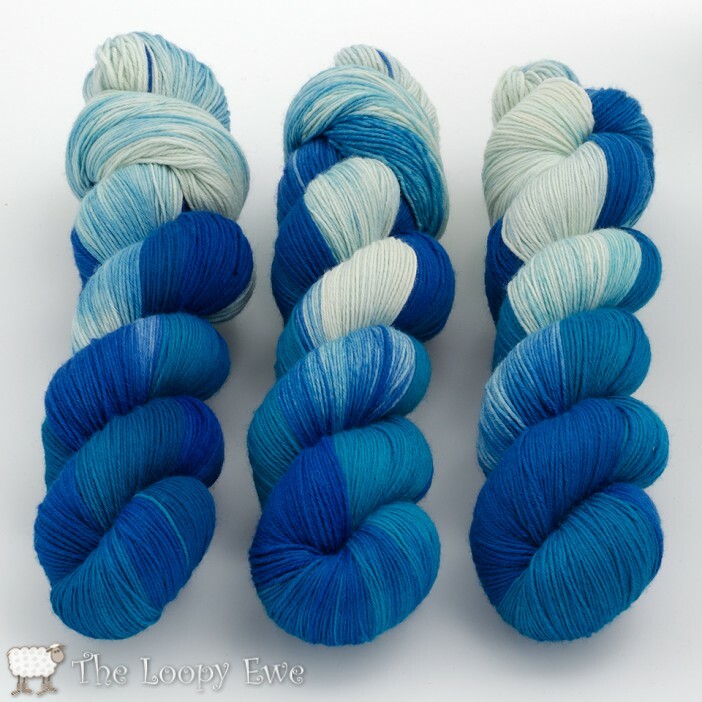 . .
After spending HOURS looking through The Loopy Ewe’s yarn options, I went with the Wollmeise Pure, a 100% superwash merino, in the "No Whale Watching in CO" colorway. I inadvertantly started it, and decided to continue going with the yarn colorway names having a Colorado reference. It kind of makes it more personal that way. This is also my first time using Wollmeise, so I get to see what all the fuss is about. There are entire fan groups dedicated to Wollmeise yarns. I hope it lives up to the hype. For Project One all 'campers' were assigned mountains (Go Mt Fiberopolis! ), and for Project Two we were supposed to be assigned to Tree Houses. But I didn't get one! I guess I can pick any of them to join, but it's just not the same (if I sound whiny here, it's because I am)! Off to wind my yarn so I can cast-on!